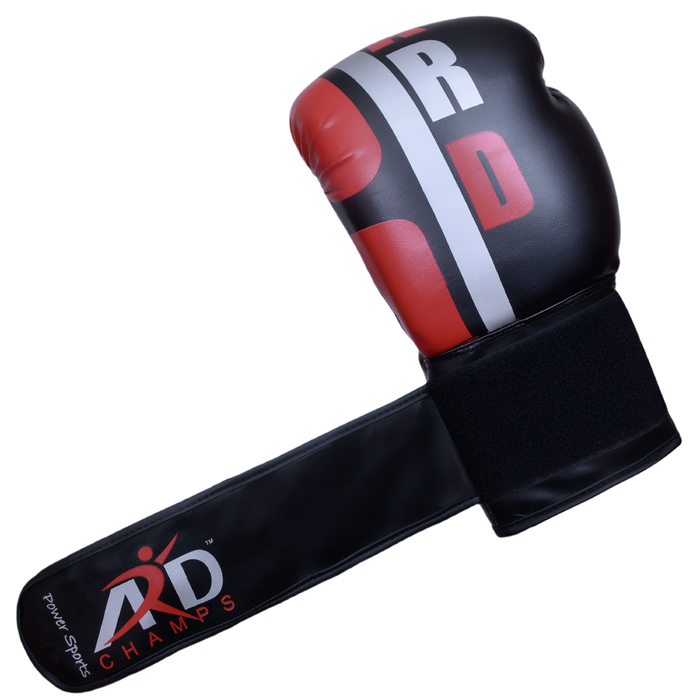 ARD CHAMPS™ Boxing Gloves Art Leather Punch Bag Training Sparring Kickboxing MMA Fighting. Boxing gloves are cushioned gloves that fighters wear on their hands during boxing matches and practices. 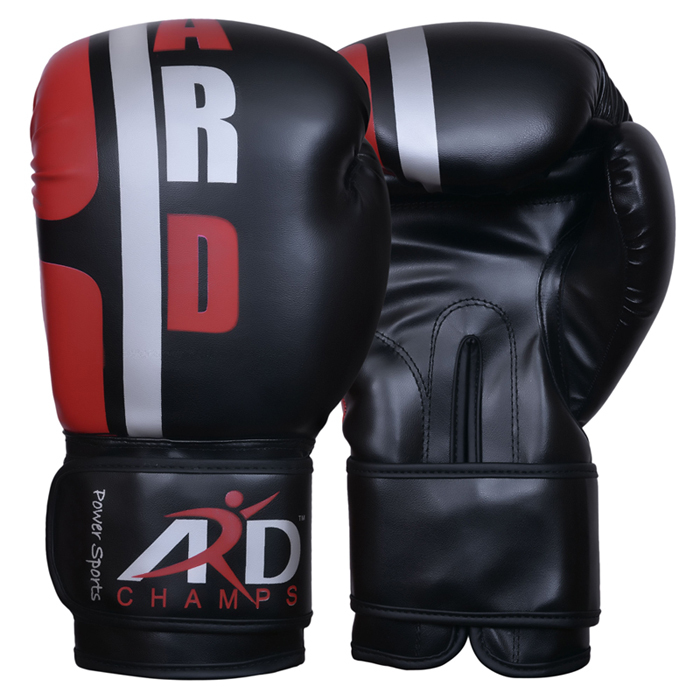 Modern boxing gloves are designed to protect the fighter's hand during a bout, though competitions, sparring and other forms of training have their own specialized gloves. In Velcro gloves, the Velcro acts as a second hand wrap that adds more stability to the wrist. • Excellent Value for Money.